HOOQ, a promising Asia’s video-on-demand service, is partnering with Globe for its Philippine debut later this month. This video streaming service is a brainchild of Singtel, Sony Pictures Television and Warner Bros. Entertainment which will most likely bring unlimited online streaming of videos which range from Hollywood and Filipino movies to local television content. Of course you can access these using any device including computers, smartphones and tablets. Local film and TV content will also be available through partnerships with the country’s top studios, such as GMA, Viva Communications, Regal Entertainment, and ABS-CBN. Customers can watch local high-grossing films such as Metro Manila, A Secret Affair, Shake Rattle and Roll and Ang Tanging Ina, as well as classics including Dyesebel, Bagets and Bituing Walang Ningning. Highly-rated TV shows like My Husband’s Lover, Mulawin, Tayong Dalawa and Mara Clara will also be available anytime and anywhere. ‘Across the emerging economies, people have amazing stories and love stories. However, a few billion people have no quality way of seeing the best stories from Hollywood or their local market. HOOQ will change that. HOOQ will change the way people in emerging markets consume and enjoy entertainment,’ said HOOQ Chief Executive Officer, Mr Peter G. Bithos. ‘The Philippines is a natural first market for us. Filipinos’ dual love of local and Hollywood content combined with their digital savviness makes the Philippines a perfect place for us to start,’ he added. The former Globe Telecom Chief Operating Advisor, Mr Bithos also announced its first distribution partnership. ‘Our partnership with Globe Telecom, the leader in digital partnerships in the Philippines, helps us bring Philippine customers a premium video service and new form of entertainment that combines the best of Hollywood, Asian and Philippine video content across all devices,’ Mr Bithos said. According to a Nielsen report in 2014, viewing online video content has become a pastime for digital consumers in the Philippines, with 85% watching at least weekly, the second highest in the region. The same report also revealed that 7 in 10 digital consumers in the country report watching TV content and movies via online sources such as video-on-demand, the second highest penetration of internet TV in the region at 71%. ‘Now more than ever, Filipinos consider connectivity as an essential part of their daily lives. Our customers, whether prepaid, postpaid, or broadband, are increasingly embracing an always-on world where they expect a wonderful experience from innovative and engaging data and content offers. Right now, we are in the best position to offer this type of service as the leader in enabling the digital lifestyle of Filipinos and the number one network for smartphones. To meet their needs, we see the video-on-demand services offered by HOOQ as a critical offering representing the future of the industry. Now that consumers have access to a variety of international and local content, entertainment will now be more personal, and with Globe, this means experiencing it with the highest quality.’ said Mr Ernest Cu, President and CEO of Globe Telecom. 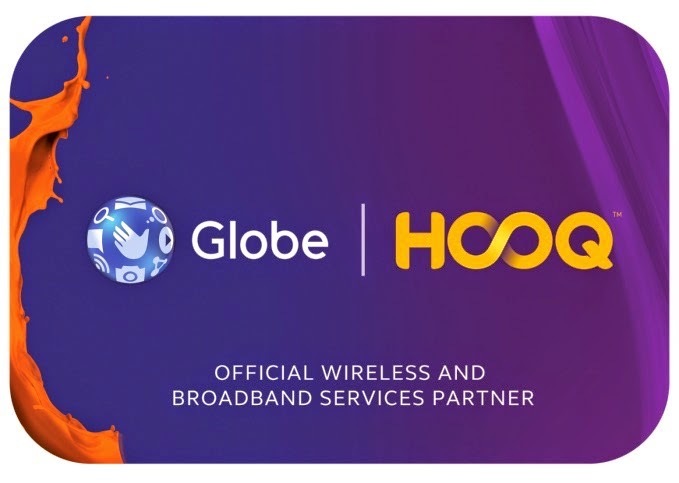 Recognising the value that video-on-demand services deliver to consumers, Globe Telecom will provide its customers with the ability to download HOOQ, which will soon be available to customers on a plan-based service for Philippine Peso 199 per month for access to thousands of movies, far more affordable than buying a ticket for just one movie. It will also be offered as a bundled service with the telco’s GoSURF and Tattoo broadband services.